VERSAILLES IS GROWING ON US 421 SOUTH ! ZONED LOCAL BIZ, A SURE WINNER ! YOUR OWN AIRBNB ? THIS IS SMART TO OWN ! 5-6 ACRES W/ A STOCKED LAKE ! ENJOY THE GREAT ROOM W/CATHEDRAL CEILINGS THAT HAS A WET BAR, Fr pl INSERT, HALF BATH & GREAT VIEWS OF THE POND & WOODS. PROPERTY INCLUDES A 100' X 150' VACANT LOT W/ CITY UTILITIES TO BUILD A HOME OR A BIZ. 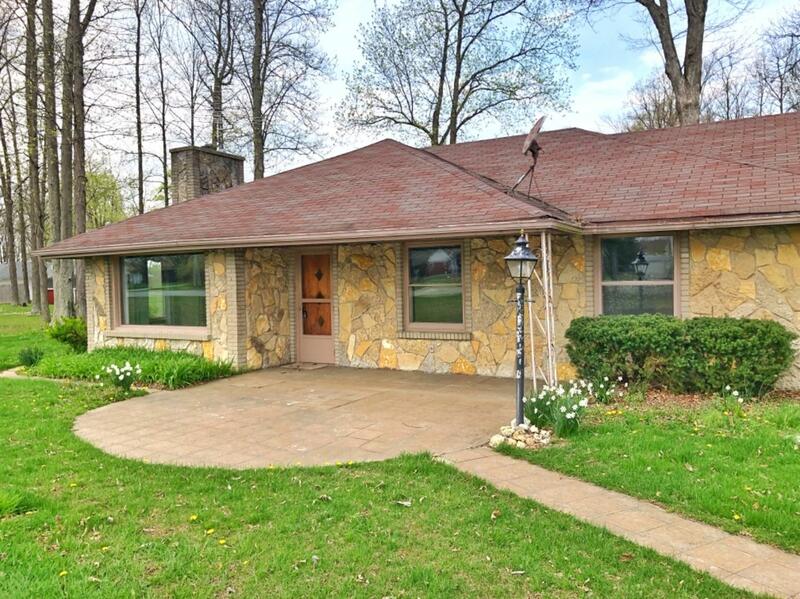 3 BDRM/2.5 BA W/ A HUGE 2 CAR ATT GRGE & A 1 CAR ATTACHED GRGE, A FAMILY ROOM W/ A WOOD FIREPLACE. OFFICE SPACE IN KITCHEN ! PULL DOWN STAIRS IN GRGE TO LARGE ATTIC!